Update On The WORLD WAR Z Sequel! 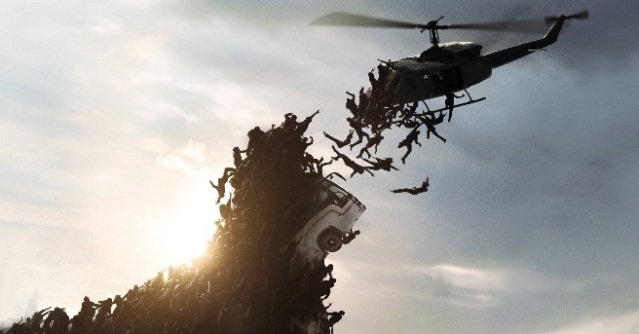 The film WORLD WAR Z hit the scene back in 2013 with great success as it became the highest grossing zombie movie to date. The apocalyptic Horror flick was directed by Marc Forster and was based off of the Max Brooks novel which has the same title. It starred Brad Pitt as Gerry Lane, a former United Nations investigator who must travel the world to find a way to stop a zombie pandemic. It makes perfect sense that Paramount Pictures would want to make a sequel out of this mega hit. The development for WORLD WAR Z 2 had apparently slowed down but Universal showed interest in wanting J.A. Bayona to direct the JURASSIC WORLD sequel which has led to Paramount getting things back on track for Bayona to direct the WORLD WAR Z sequel instead. They have even replaced Steven Knight with Dennis Kelly as the screenwriter to handle the rewrites. Brad Pitt is expected to reprise his role in the film. Pitt will also serve as producer along with Dede Gardner, Jeremy Kleiner, Ian Bryce, and David Ellison. WORLD WAR Z 2 is currently set to hit theaters on June 9, 2017. We will continue to bring you more on WORLD WAR Z 2 as it unfolds.